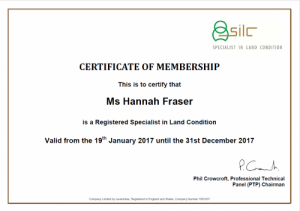 Hannah Fraser has recently qualified as a Specialist in Land Condition (SiLC), the highest qualification for Contaminated Land professionals. 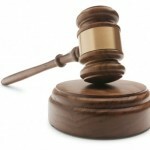 She is also registered as an SQP – a suitably qualified person – under the National Quality Mark Scheme (NQMS), which means she is authorised to review contaminated land reports and give them the National Quality Mark if they are of a sufficient standard. Hannah said ‘I am delighted to have achieved this qualification, the approval process is pretty demanding and the standards required are very high. 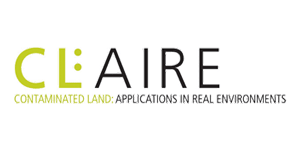 I am looking forward to helping others develop and maintain high quality contaminated land assessment skills through the SQP role’.